Should I rent a dedicated or shared Web server? Shared, or virtual, servers are usually more than adequate for low volume or entry-level sites. Sites with highly sensitive information, high volume, or special software requirements will probably need a dedicated server. The chart below shows the major differences between shared and dedicated Web servers. How to change Web hosting services without disrupting your online business. Read these ten steps to a simple transition. As it relates to Internet-based systems, bandwidth is the data rate that can be supported by your network connections and pipelines. A bandwidth monitor measures bandwidth usage. Database hosting is where a server that stores and manages databases is located off site at a hosting company. The hosting company provides access to the Internet and leases the use of the database hosting server. 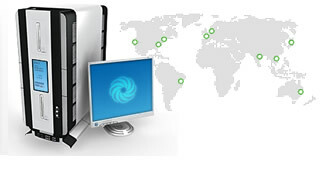 Dedicated hosting is where a server has only one customer on it and he controls all aspects of the server. This provides much greater flexibility than a virtual server, but the burden of administration must be handled by the customer or outsourced to a dedicated hosting provider. Dedicated Linux web site hosting is where a company places it servers at an offsite secure data center to be managed by another company. It is referred to as Linux web site hosting because the operating system on these servers is Linux. Do I require managed web hosting or is unmanaged web hosting a better fit for my business? This is the first question a business needs to consider when they have decided to outsource their web hosting requirements. The difference between managed web hosting and unmanaged web hosting is a matter of responsibility. Microsoft SQL server is a database software program that supports the Structured Query Language (SQL) , but adds its own unique extensions to create a unique SQL server language. Microsoft SQL server is used with the Windows operating system. Network bandwidth is the data rate that can be supported by your network connections and pipelines. Network bandwidth can refer to the theoretical limit or the actual usage. Most often when people discuss network bandwidth they are talking about the perceived speed of their local area network, but network bandwidth alone does not measure speed. The latency, or delays in processing, associated with the network also affects the speed of the network. The definition of network monitoring has changed over time and even today there can be huge differences between the network monitoring service provided by different companies. At one point, network monitoring was limited to watching a company's communication interfaces and receiving notification if they were down. Network monitoring now can be much broader in scope and involve the proactive performance measurement of computer hardware and communication pipelines to ensure they operate within a specified range. PostgreSQL is a database software program that supports the Structured Query Language (SQL) , but adds its own unique extensions to create a unique SQL server language. PostgreSQL is typically used with Linux or UNIX operating systems. PostgreSQL hosting is where a database server that uses PostgreSQL is located off site at a hosting company. 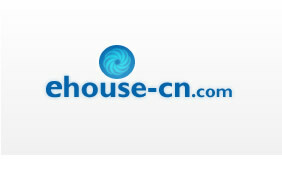 The hosting company provides access to the Internet and leases the use of the PostgreSQL server. UNIX hosting is where a company places it servers at an offsite secure data center to be managed by another company. It is referred to as UNIX hosting because the operating system on these servers is UNIX.